Good morning friends! 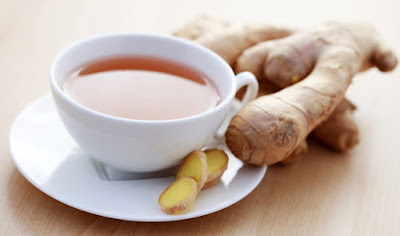 Today i am going to share with you my quick morning detox tea! - 1 cup of warm water --> warm water is fantastic for helping your body to detox. When you drink warm water, your body temperature begins to rise, which results in sweat, which release toxins from your body and cleanse it properly. In addition warm water helps with weight loss, prevents premature aging, enhances blood circulation and helps with digestion and constipation. - 1 tbsp of apple cider vinegar --> apple cider vinegar helps with weight loss, lower blood sugar levels and fights diabetes. - 1 tbsp lemon juice --> lemon helps with weight loss, improves digestion, relieves from constipation and promotes eye care. - 1 tbsp of honey --> honey is anti-viral, anti-fungal and a powerful antioxidant. It helps ward off allergies, soothes sore throats and is a natural expectorant. It also stabilizes blood pressure and balances blood sugar levels, boosts immune function, promotes digestive health. - 1 tsp of cinnamon --> One teaspoon of cinnamon powder has 0.33 mg Maganese, 0.76 mg Iron, 24.56 mg calcium. Cinnamon can lower blood sugar levels, reduces heart disease risk factor and the uncomfortable feelings associated with irritable bowel syndrome especially the bloating. In addition, the high levels of Manganese can be an excellent candidate to mitigate the effects of PMS. - 3 slices of unpeeled ginger --> ginger relives digestive problems like nausea, motion sickness and loss of appetite. Hope you enjoy your morning tea!